Apple has appointed the founder of A+E Networks’ feature film production division to oversee documentaries for its recently unveiled streaming service. 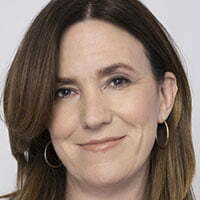 Molly Thompson joins the tech giant as head of documentaries, having previously set up A&E Indie Films. She also had a stint as head of documentary films for A+E Networks, with credits on shows including the Watergate docuseries, The Clinton Affair and Studio 54. Thompson’s other credits include exec producing Lifetime Films doc The Tillman Story plus Cartel Land and Murderball, along with all features from the History Films label, including Werner Herzog’s Meeting Gorbachev and Johnny Knoxville’s Being Evel. Apple unveiled its long-awaited subscription VoD service last month, setting an autumn launch date for Apple TV+, which is expected to spend US$2bn on original programming this year. US chatshow queen Oprah Winfrey will have some new documentaries on the service, including Toxic Labor (working title), which will explore sexual harassment in the workplace.